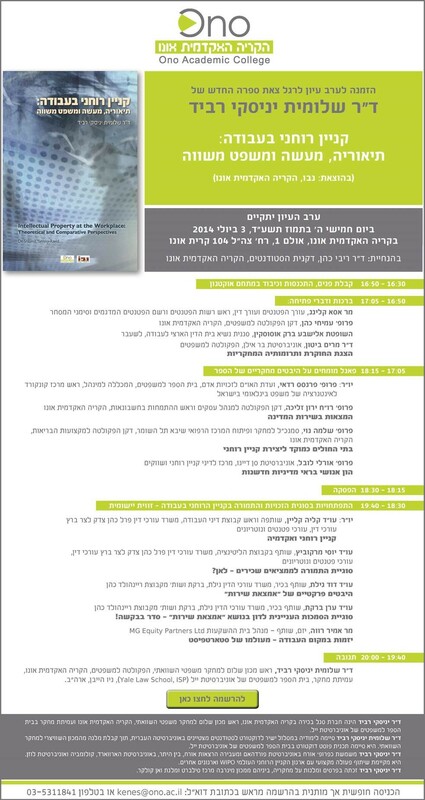 Dr Shlomit Ravid’s book launch on Intellectual Property in the Workplace is on 3rd July 2014 at ONO Academic College. I have now read the book and will post a review shortly. In the meantime, the program for the event, including the various guest speakers may be found here.